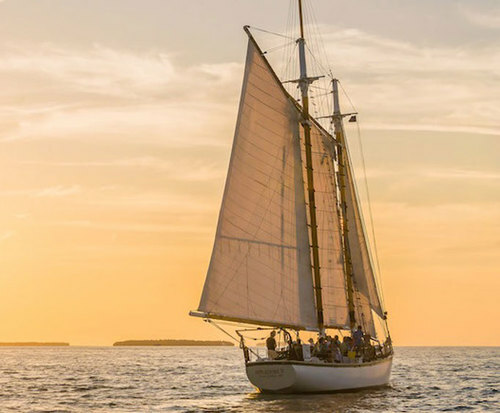 Explore the gorgeous Key West and Florida Keys area of Florida with the fantastic Schooner Appledore Champagne Sunset Sail; the fantastic tour is a great way for guests to soak in the beautiful Key West weather while exploring the area and taking in the great sights and sounds. 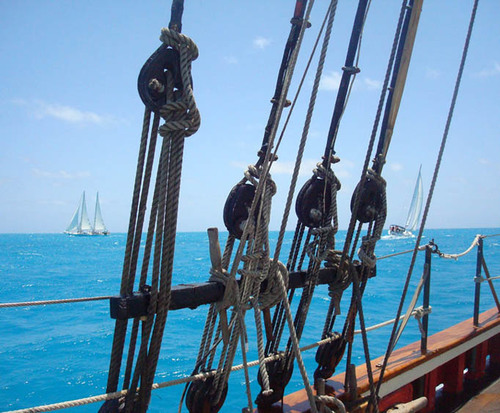 Climb aboard the 86-foot-long Schooner Appledore for an adventure you will not soon forget. Some of the sights include Mallory Square and the coastline as you relax and unwind with comfortable amenities that make it easy for the stress to just melt away. The boat is equipped with a wide deck that makes it easy for guests to mingle among each other. With comfortable seating and a great view, the experience is definitely one to delight all ages. Guests will also be able to sip on complimentary drinks as the sun begins to set over the coastline. Make sure to bring a camera to capture the stunning sky painted with pinks, reds, and oranges that make up a gorgeous Florida sunset. 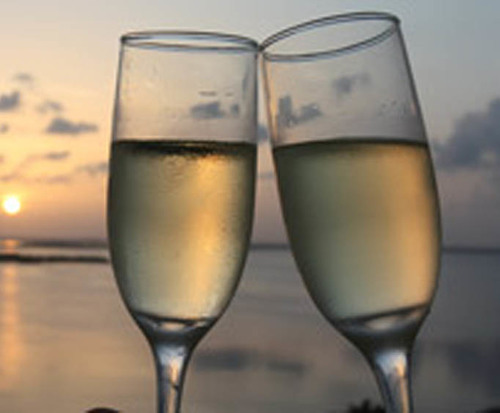 Whether you want a romantic evening or a fun-filled adventure, the Schooner Appledore Champagne Sunset Sail is the perfect venue for your Key West adventures.